For many young students, planning their career journey can start with a big question mark – am I good enough for that dream job? Some have more perplexing questions – What do I want to be? Should I follow my passion or my natural ability, or my hunch? 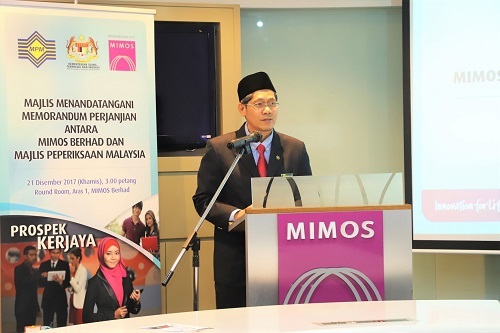 MIMOS and the Malaysian Examination Council (MPM) have entered into a Memorandum of Understanding that can help students as young as 16 years old to make better career decisions. 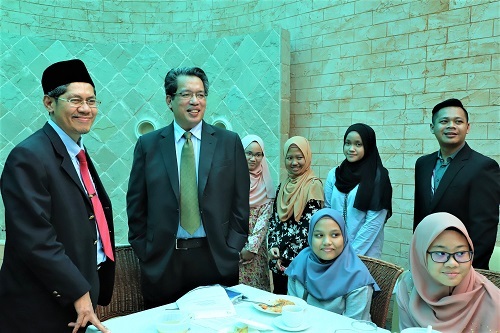 MIMOS’ Cognitive Analytics Lab (formerly known as Psychometrics Lab) has developed a hybrid scientific assessment model known as Prospek Kerjaya, an innovative online psychoinformatics product that can assess the career inclination of an individual. Upon completing the test, an individual would get a comprehensive career interest analysis, which is a unique and distinguishable self-explanatory report detailing the categories of interests that can guide the individual on their potential areas. The MoU with MPM is expected to add further value to the education ecosystem, academic fields and the development of digital assessment technologies. MIMOS expects to launch this online assessment product in the first half of 2018. Click here to learn about MIMOS Psychometric technology solutions.